Revamping classic villains for modern readers is such a classic trope in comics, a trope that I hope never dies. Yes I would like some new villains, but if creators can bring fresh new approaches I’m game. 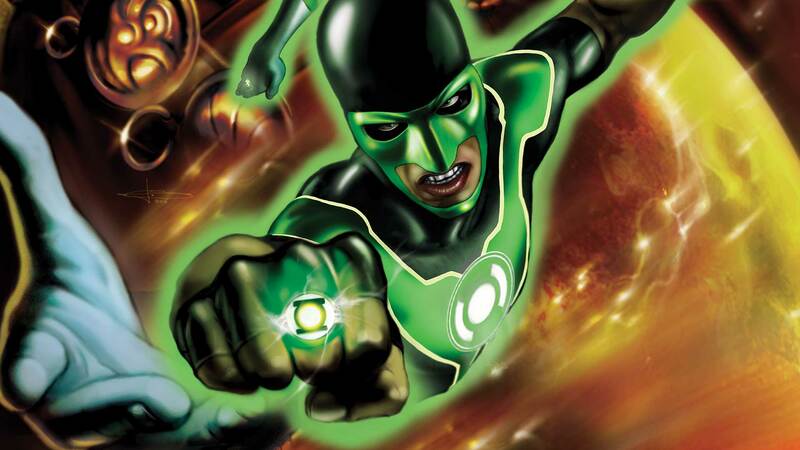 Just look at Green Lantern when Geoff Johns took over the title, all I have to mention is Black Hand a character that had little notoriety and becomes a mainstay. So now we enter Doctor Polaris another Green Lantern villain I’m not to familiar but I’m hoping for something deep. Warning there will be spoilers going forward, you’ve been warned. I can’t quite put my finger on it, but I suspect that Humphries is a huge fan of giving villains emotional backstories that resonate with the human conscious. It’s no secret that the road to becoming either a hero or a villain is not really that different in the current era of comics. In comparison to The Phantom Lantern and Volthoom who had time dedicated to their origins, Humphries decides to drop us in the middle of scene in progress as we Doctor Polaris and his condition, it didn’t have the impact it needed to. Yes it humanizes to a degree but it feels to rushed to feel any genuine remorse. I’m thinking that as this arc goes on, more story will be revealed about Doctor Polaris. One thing I wasn’t expecting was for Simon to have a run in with his brother, it feels a little out of left field since there hasn’t been much development with Baz’s family outside of the first arc. Even without the proper time I can understand what Nazir is coming from. Given that Jessica held most of the spotlight recently I’m glad that slowly but surely the spotlight leans towards Baz even if it was only a few pages of this comic. Part of my slight problem with this comic was the introduction of this new character and I felt a disconnect, maybe if it was Amanda Waller in these scenes or if I actually read the Justice League Vs. Suicide Squad then maybe the inclusion of this character wouldn’t have made me have a disconnect. Ronan Cliquet returns for this issue at least and I was impressed by his facial expressions, focusing mainly on Doctor Polaris for just a moment because he demonstrates various emotional states. You feel Doctor Polaris’s rage, despair as your examine the pages. No words needed just raw emotion. Also as I look at the original costume for Doctor Polaris I’m digging that a lot the classic elements are retained but certain aspects are toned down. So for older fans it’s still recognizable yet new for readers who don’t have the established history with the Green Lantern mythos.